On July 7, 2016, less than two weeks before Donald Trump accepted the Republican presidential nomination, his then-campaign manager Paul Manafort wrote an email to a Russian billionaire with close ties to the Kremlin and offered to provide him with briefings on the presidential race. Portions of the email written by Manafort to aluminum magnate Oleg Deripaska, as well as other correspondence, were read to the Washington Post by people familiar with the discussions. “If he needs private briefings we can accommodate,” Manafort wrote. That email is among what the Post describes as “tens of thousands” of documents that have been turned over to members of special counsel Robert Mueller III’s team and congressional investigators who are looking into whether or not the Trump campaign coordinated with Russia as part of a plot to interfere in the 2016 presidential election. At this time, there is no evidence to confirm that Deripaska received Manafort’s offer or that any such briefings took place. The email exchanges have been dismissed by a spokeswoman for Deripaska, who called them scheming by “consultants in the notorious ‘beltway bandit’ industry,” the Post reports. While the exchanges are deliberately cryptic and never explicitly mention Deripaska by name, investigators believe that key passages refer to him, and he is referenced by his initials “OVD” several times. Deripaska’s name has been mentioned before in concert with several senior U.S. politicians, including former Sen. Bob Dole and current Sen. John McCain (R-Ariz.). In 2008 he was listed as Russia’s richest oligarch by Forbes magazine, which assessed his wealth then as being about $28 billion. These days, he is said to be worth only $5.1 billion. Manafort and Deripaska have had business dealings in the past, with Manafort acting as a paid investment consultant. 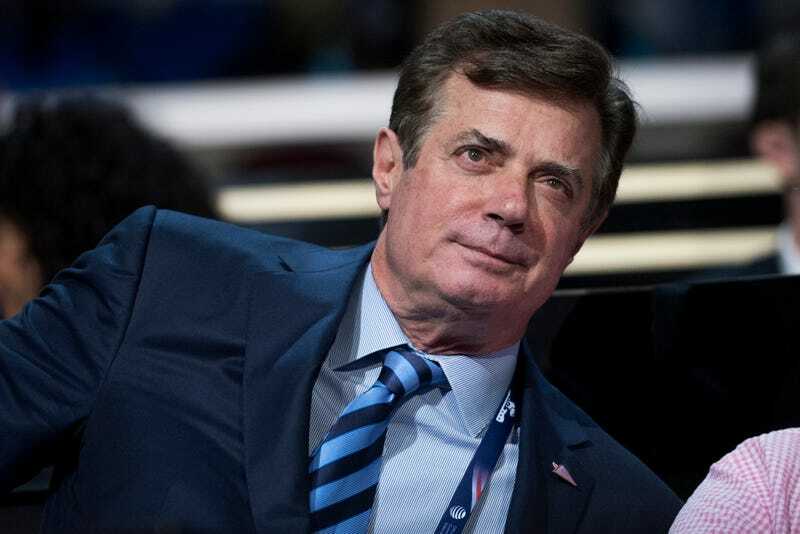 In a 2014 Cayman Island court case, Deripaska accused Manafort of taking nearly $19 million that was to be used for investments and failing to account for the money, return it or respond to inquiries as to how exactly it was used. According to the Post, court documents do not show that that case was ever closed. In April 2016, when the Post inquired about Manafort’s relationship with Deripaska and a Ukrainian businessman, Manafort instructed Trump press aide Hope Hicks via email to disregard the newspaper’s list of questions. Hicks is now the White House communications director, and she declined to comment on this when asked by the Post. This latest bee in Manafort’s bonnet only adds to the mounting pile of evidence that he was willing to profit from his position within the Trump campaign, and these email exchanges in particular show that he created an opening for Russia to get on the inside of the presidential election at the highest level. Once again, it appears that this entire administration is a criminal organization with ties to Russia and the Russian government. Tune in tomorrow for the next episode of White House Apprentice.